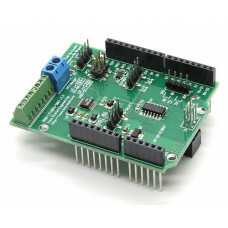 The ARD-LTC2499 is an Arduino compatible shield that contains a Linear Technology LTC2499 24-bit ADC.. The ARD-LTC2499-3V3 is a 3.3V I/O compatible version of the popular ARD-LTC2499 Arduino compatible s.. The ARD-LTC1863 is an Arduino compatible shield that contains a Linear Technology LTC1863 12-Bit, 8-.. 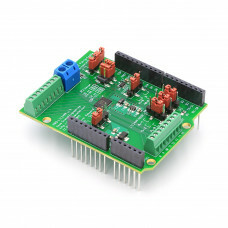 The ARD-LTC1867 is an Arduino compatible shield that contains a Linear Technology LTC1867A 16-Bit, 8..